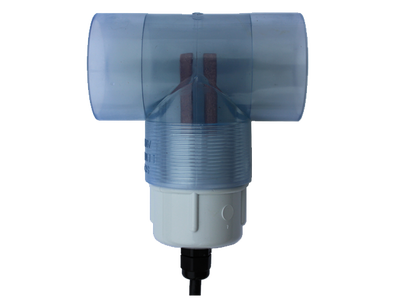 The ClearBlue pool ionizer hooks into your pool filtration system and releases microscopic mineral ions which control bacteria and algae. This allows you to reduce the chlorine, algaecide and other chemicals by up to 90%. 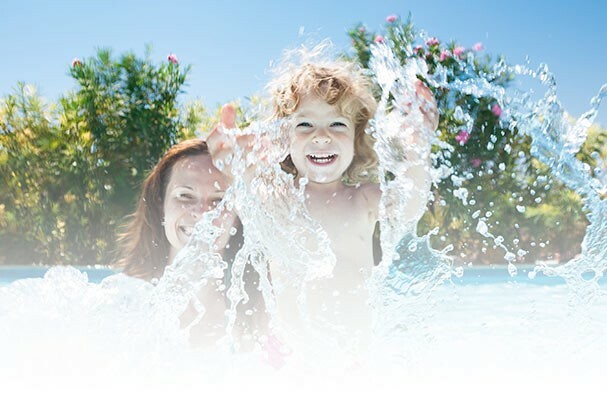 The ClearBlue Ionizer costs less than a salt chlorinator and ClearBlue pools are less effort to maintain than traditional chlorine or salt water pools. Mineral pools require about half as much chlorine as either salt water or chlorine pools according to Health Canada and other governing bodies. ClearBlue minerals are very effective at controlling algae. You will rarely need to add algaecide, no matter how much sun you get. 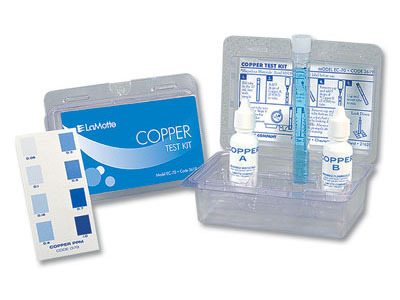 Chlorine and salt chlorinators affect the pH balance of the water. This means you constantly have to adjust the balance up or down using chemicals. 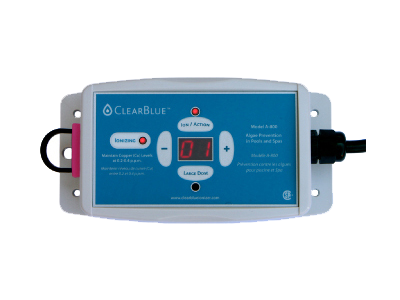 ClearBlue mineral ions are completely neutral and pH almost never needs adjusting. 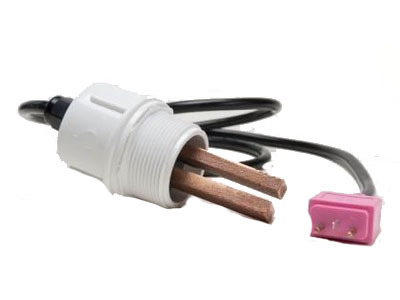 Salt is corrosive to some pool equipment and structures. Many manufacturers will void your warranty if you use salt. ClearBlue is completely harmless to your pool equipment, structure and landscaping. ClearBlue mineral pools cost less overall than salt water or traditional chlorine pools.